PatCat loves every opportunity to tinker with something new in a tech demo! 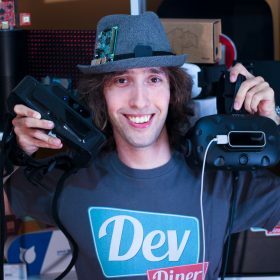 He is the founder of Dev Diner, a site that explores developing for emerging tech such as virtual and augmented reality, the Internet of Things, artificial intelligence and wearables. He is a SitePoint contributing editor for emerging tech, an instructor at SitePoint Premium and O’Reilly, a Meta AR Pioneer and freelance developer.